I’ve found that it builds my confidence with divination considerably to pull cards about random stuff: the books I read, t.v. shows, silly, trivial stuff. 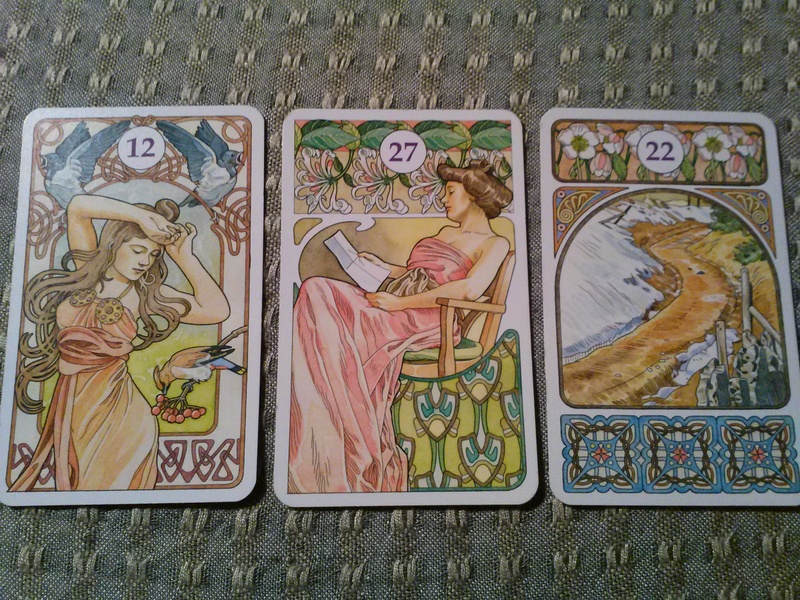 Today, I decided to pull Lenormand cards on the topic of the next email I would receve. I shuffled, chose the letter as a significator to represent my email, and then looked to see what cards were next to the letter in my shuffled pile: the birds, and the crossroad (though in this deck, it just looks like a road). Birds: arrival of news, messages, possibly setting up a phone call or meeting. Could be a salesperson. Looked back at my email an hour later, and guess what my next email was? A Google invitation to a video conference call, asking me to RSVP.